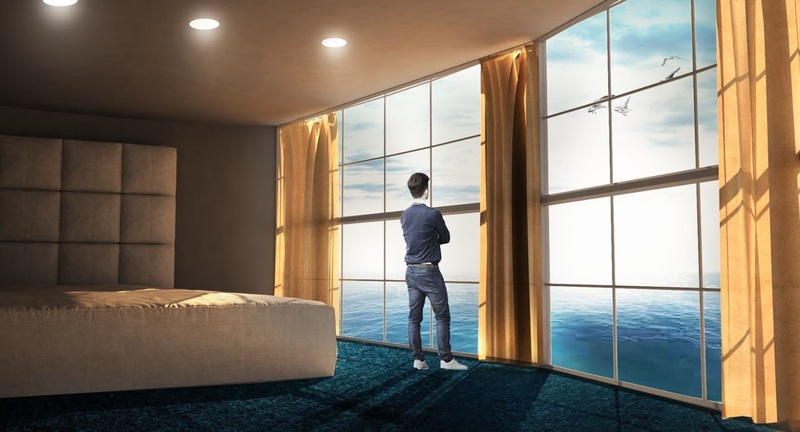 Earlier this year Royal Caribbean International launched “Brainwaves: Reimagining the Future of Cruising”, a contest inviting young designers to conceptualise and develop never before seen, innovative ideas for a cruise ship that would appeal to the next generation. Over the years cruising has transformed well beyond the basic pools, buffet restaurants and theatres. Modern day cruise ships feature Skydiving at sea, robotic bartenders, virtual balconies and smart features just to name a few. In keeping with its strong culture of innovation and imagination, Royal Caribbean launched “Brainwaves: Reimagining the Future of Cruising” a competition open to young Singaporean designers to submit their vision of a cruise ship of the future. At an exciting finale, held earlier last week, five finalists pitched their ideas before a panel of judges, consisting of Angie Stephen – Royal Caribbean’s Managing Director for Asia-Pacific, Jiali Wong – Cruise Lines International Association (CLIA) Regional Manager for Asia and Khairudin Saharom – Brainwaves ambassador, local architect and TV host. 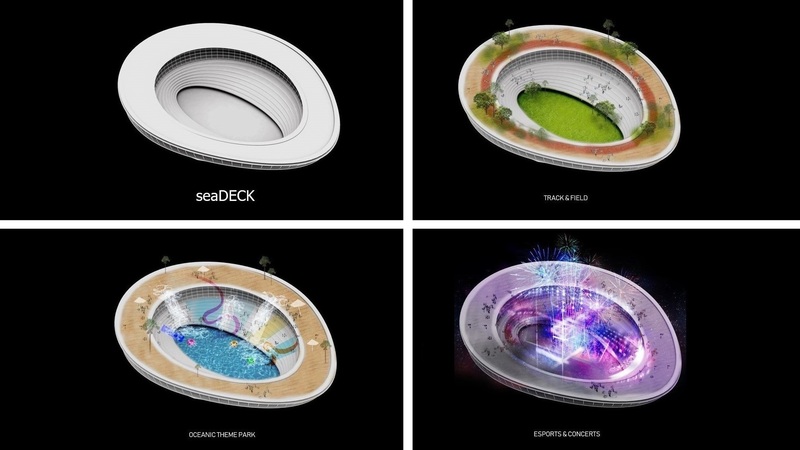 Clifford Goh, a 24-year old student who is currently in his fourth year of study at the National University of Singapore (NUS) School of Architecture, won by unanimous vote with his “SEASTADIUM” design. Inspired by the growing health and wellness trend among the youth today Clifford Goh sought to reinvent cruising as the premium destination for traditional as well as novel sporting and entertainment experiences including eSports. 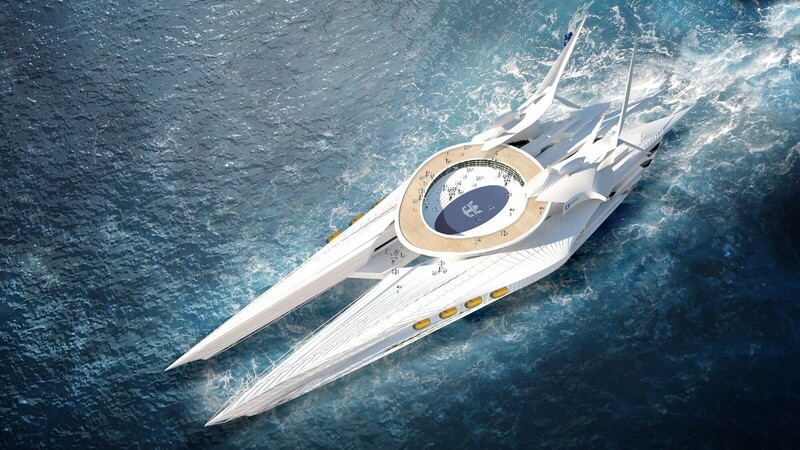 He designed “SEASTADIUM” as the next generation of cruise ships with a focus on fitness, entertainment and lifestyle. A distinctive feature of the ship is a highly customizable and modular ring-stadium space that can to adapt to accommodate a plethora of activities; including fitness stadiums, oceanic theme parks, eSports stadiums, holographic concerts and more. With the programmes changing whenever the ship sets sail, every journey would become a new and exciting experience filled with endless possibilities. The ship is equipped with the latest technologies to ensure a seamless, hassle-free cruising experience right from the moment guests board. Passengers download a smartphone application that syncs to every location on board, functioning as their personal assistant, digital wallet, room keys, boarding pass and social finder. The seaAPP simplifies life on board, so guests can focus on having fun. Sports and fitness has never been more accessible thanks to the ‘gym by the ocean’ concept. The “fitness of the future” includes health & fitness facilities such as physiotherapy centres, saltwater spas and virtual reality gym centres. 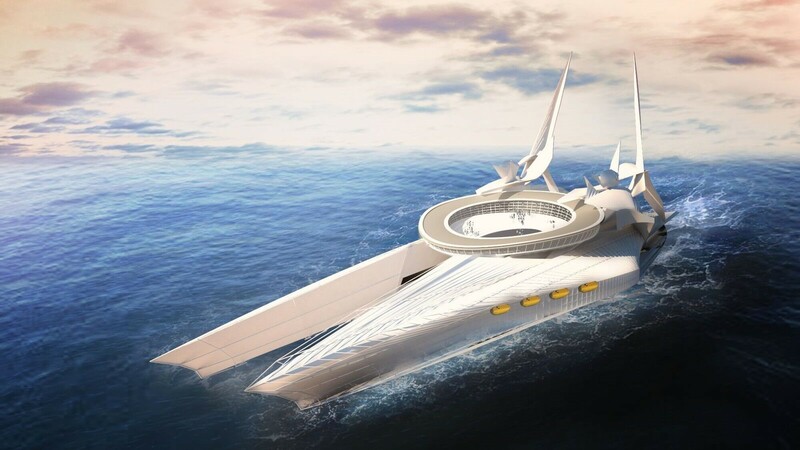 The void space created by the separation of the port and starboard sections of te ship allows for passengers to interact directly with the ocean below, engaging in a variety of water sports and activities in a never before seen way. The suites and cabins on board the ship come equipped with the latest technologies, promising a next generation accommodation experience. Holographic display panels line the interior of the suites, allowing passengers to radically alter the appearance of their room and be wherever they want. Shop, Dine, Play and Relax with endless lifestyle and entertainment options. 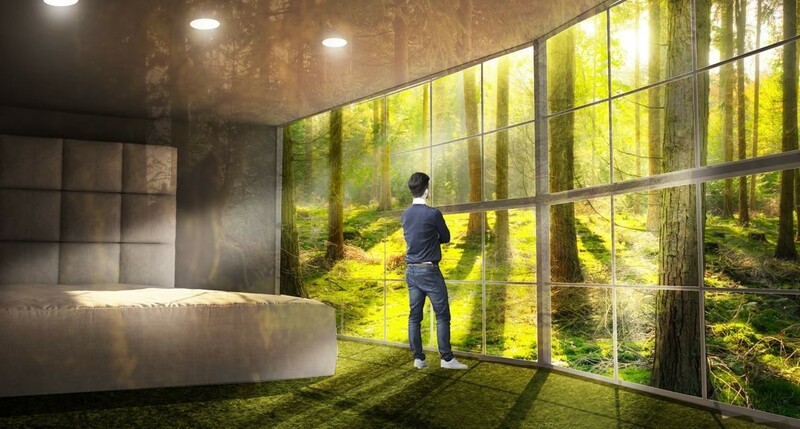 During the day guests can rest and rejuvenate with aquatherapy centres, saltwater spa, virtual butterfly gardens. Come nightfall it’s time to party hard with a spectrum of nightlife activities including eSports competitions, concerts, performances, clubs, bars and cyber cafes.